IoTshow.in will be India's first major exposition for all the stake-holders of Internet of Things ecosystem to come together. 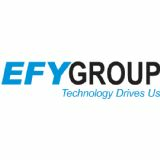 Being held as part of India Electronics Week, and co-located with Electronics Rocks. 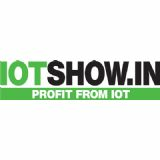 IoTshow.in will feature a B2B exposition and also a conference to connect with Industry Users of IoT, as well as those involved in development of IoT products and services. Special packages have been announced to facilitate Independent or Captive Design Houses to exhibit their capabilities and innovations at IoTshow.in.